Home The NewsMill Govt bans civilian traffic on highway for 2 days a week. Govt bans civilian traffic on highway for 2 days a week. The Jammu and Kashmir government Wednesday announced that there shall be no movement of civilian traffic on the Srinagar-Jammu highway for two days every week to facilitate movement of forces for the upcoming parliamentary elections. 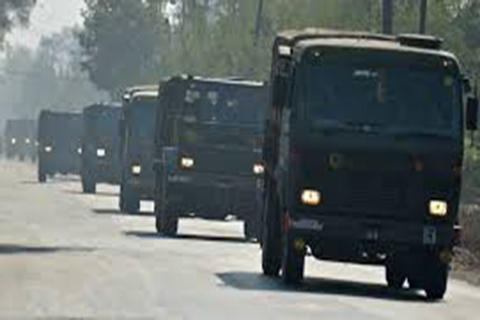 “Keeping in view the large movement of forces on the highway during the parliamentary elections and associated possibility of any ‘fidayeen’ attack on forces’ convoys, the state government has notified specified days in a week for the movement of forces from Srinagar to Jammu. During these days, no civilian traffic would be allowed on the highway,” an official spokesman said in a statement. “To mitigate the inconvenience to the civilians by this move, the government has notified two dedicated days in a week (Sunday and Wednesday) exclusively for movement of forces’ convoys and there would be a complete ban on civilian traffic on the highway during these two days from 4am to 5pm. This prohibition would be from Baramulla through Srinagar, Qazigund, Jawahar tunnel, Banihal and Ramban till Udhampur,” the spokesman said. The government said it has further decided that “in the event of any requirement for local traffic movement for any emergency or for other purpose, the local administration and the police would evolve necessary procedures for this as is done during curfew days”. “These restrictions would remain in force till 31st May 2019. It would be recalled that the union home minister Rajnath Singh, during his visit to Kashmir post-Pulwama attack in February 2019, had announced that no civilian traffic movement would be allowed during the convoy days. Besides, few days ago, on 30 March, there was a possible fidayeen attack on another security forces’ convoy at Banihal,” the statement read. 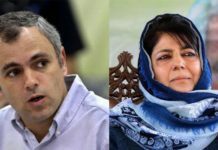 Next articleResidents of J&K its rightful owners: Farooq..